Olive Oil: Hackers' developmental "action-logic"
When Vivek Haldar writes that hackers love "closed worlds", I can't help thinking of adult developmental psychology. Although I'm not familiar with the "early lips systems" and "SmallTalk" he refers to, his description of experiencing such systems reminds me of my teenage years and my dreams of becoming a real hacker. 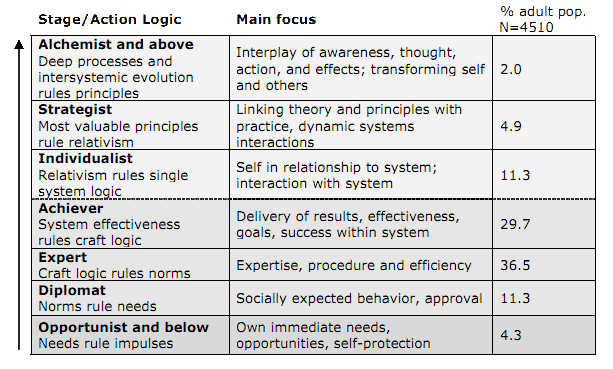 Since I've started studying developmental psychology, I have often looked back at these years as an illustration of the Expert action-logic (p.15) (pdf). And I think it's true of many (pseudo-) hackers. In fact, closed-world-loving hackers are another good illustration of the Expert action-logic. Why is that? Experts have grown out of the Diplomat action-logic, they have an increased capacity for 3rd person abstraction and for seeing multiple alternative solutions to a problem. 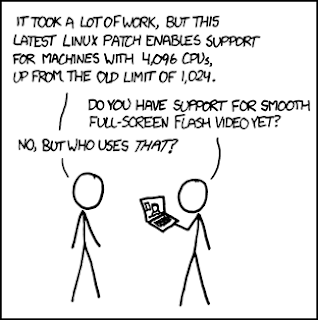 What better capacities can you expect from a tech guy? Whereas Diplomats are more likely to sugar-coat reality, Experts can more easily accept an imperfect present - and be cynical about it. This is in part because they can better see what could be in addition to what should be, and they identify with an ideal self and an ideal world that seem reachable. So why stick around with the crowd if they can strive for individual improvement, mastery, or even perfection? It's also precisely where the limitations of the Expert mindset reside. They will strive for improvement within a system of rules but will resist changing the rules themselves. 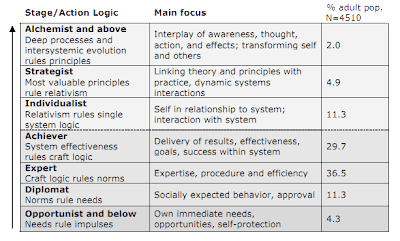 They get the ultimate ego-boost from achieving mastery in a specific field, so feedback from the outside is threatening: what if you realize the measuring standard of your self-worth is flawed since the beginning? Yet they are in a catch-22 position regarding self approval. They don't yet have the Achiever's (p.16-20) ability to define their own standards of self-evaluation (so as to not fear social disapproval), yet they know better than fully adopting others' standards, like Diplomats would. In essence, they need their peers' approval of their difference - i.e., being the best at ________ (fill in the blank). At least in a closed world, you limit contacts to people who come to your terrain, where you know the rules and can't be tripped up. Have you experienced that hackers who love "closed worlds" also tend to have an attitude? Before hordes of geeks jump at me, of course I'm not saying that hackers = Expert action-logic. It's a generalization. However, in my experience the Expert hacker does exist, it's not that rare. I certainly went through a phase in my life when my ego had a similar flavor to that of Expert, and I did dream of being Kevin Mitnick, and I did watch War Games hundreds of time fantasizing on the power to launch a global thermonuclear war. I really thought I had it all figured out. Does it ring a bell to you?